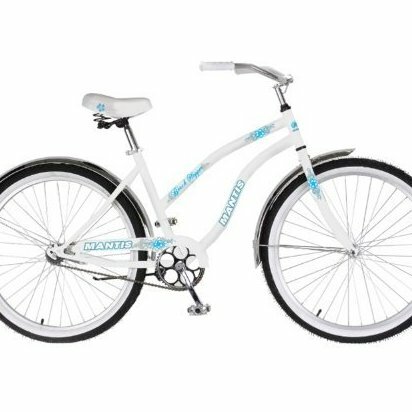 Single-speed ladies' cruiser bike offering comfort and style while riding around town. Rugged cantilever frame, steel wheels, and coaster brake. Chrome fenders, wide beach tires, and springy saddle. 18-inch frame; quick-release, three-piece crank. Includes limited one-year manufacturer's warranty.